In its first ranked match of the season, No. 24 Washington State stunned No. 14 Northern Iowa, 3-1, inside the McLeod Center in Cedar Falls, Iowa. The Cougars were dominant on the block, notching 17 to the Panthers’ 5.5. The Cougars rattled off a 6-point run to begin the first set and never looked back en route to their 25-19 win. The second set was more of the same early, as Washington State opened the game with 4 unanswered scores. Northern Iowa battled back this time, and evened the match, 9-9. The Panthers closed out the set at 25-19 with a 7-2 stretch. The teams battled through 11 ties before the Cougars rattled off 6-straight points to separate themselves from the Panthers. They went on to secure the set, 25-21. 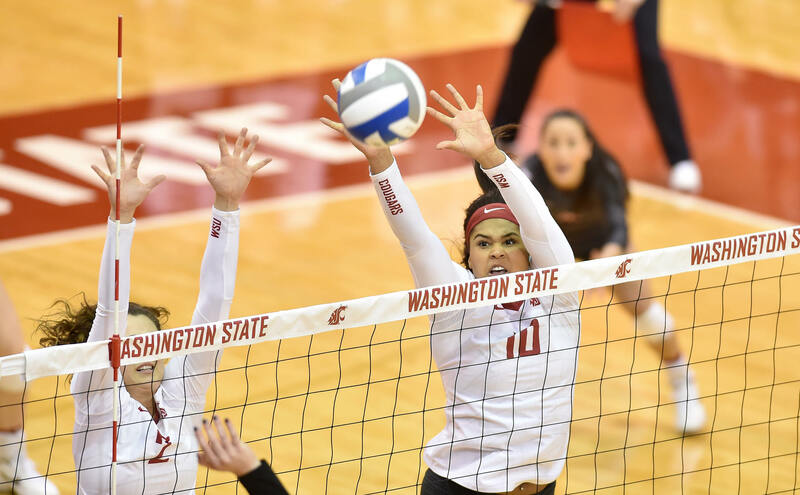 Washington State led by as many as 6 points and never trailed en route to its 25-19 set four win, which keyed the final result. Senior Taylor Mims hit .300 and recorded a double-double with a team-high 19 kills and 11 digs for Washington State. Junior Ashley Brown dished out a 37 assists, while junior Alexis Dirige notched 18 digs. Sophomore Penny Tusa and Brown served up 5 and 4 aces, respectively, while senior Claire Martin (10), redshirt junior Jocelyn Urias (8) and senior Ella Lajos (8) led the team’s stellar blocking effort. Junior Karlie Taylor used 14 kills and 12 digs to turn in a double-double for Northern Iowa. Senior Piper Thomas and sophomore Jaydlin Seehase joined her in double figures with 13 and 10 kills, respectively. Redshirt junior Rachel Koop dished out a 40 assists, while senior Kendyl Sorge tallied 18 digs. Washington State and Northern Iowa meet again on Saturday at 12:30 p.m. ET to close out the series.